Whether we like it or not, we need to say goodbye to our Xbox 360 consoles and buy the Xbox One console. If you haven’t your Xbox One console yet, we suggest you wait a few more days until the Xbox One 1TB console is released. A new Xbox One console is on its way to stores, it will feature a 1TB hard drive and a new controller. Amazon has accidentally leaked the new version of the Xbox One last weekend and it was spotted by a lot of people. Without a doubt, Microsoft is going to launch it during the E3 2015 event. Seeing as the number of the next-generation games will be increased during 2015/2016, providing more storage makes sense. This may be the reason for Microsoft increasing the storage capacity of the Xbox 1. According to Games Rader, the new controller will allow you to set the headset’s volume and microphone adjustments via the Settings menu. At the same time, you will notice some improved audio quality alone with the maximum volume being increased. If you prefer to use the physical controls, you can always use the headset adapter. The new controller will be able to download firmware updates wirelessly, which means that you will no longer have to plug it into your Xbox One to update the software on it. The new Xbox One 1TB console will also come with The Master Chief Collection by default. The console will be sold for £349.99 (around 543 dollars) in the UK and it will be available from June 16, 2015. Not many user seem to enjoy how the Xbox One looks. If you ask us we think it looks pretty nice even if it’s a mix of old styling with some simple modern lines with a bit of gloss and a matt black. Although opinions differ regarding its appearance lets focus on what it is capable of. We’ve spotted a HDMI-out, USB 3.0 and Ethernet connections and the unique HDMI-in, which allows you to plug in any device that has a HDMI port. 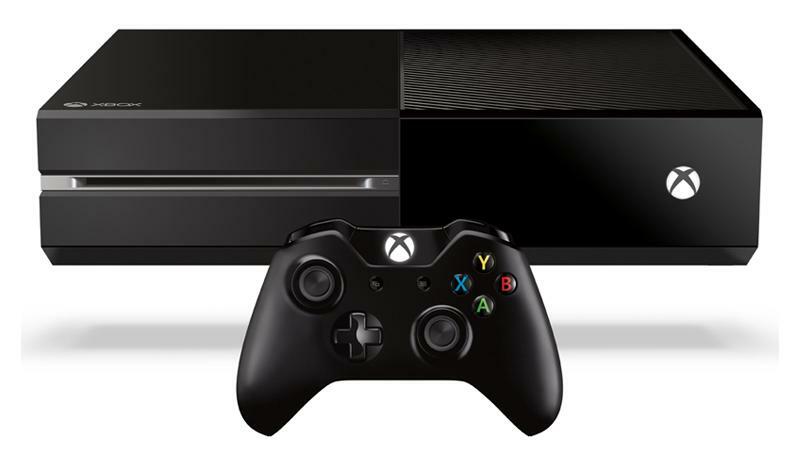 In other words, you will be able to control Sky TV via your Xbox One. Xbox One can update itself in the background, but you will still have to wait for a game to be installed at least 50% in order to play it. Likewise the headset that came with the Xbox 360 also comes with the Xbox One and is still mostly plastic, but the sound quality is pretty good and the microphone works like a charm. The new controller comes with two new buttons, the left one will be used for applications and functions and the right one will bring up the menu. The illuminated Xbox button will bring you to the dashboard, which is a great feature if you are watching movies on Netflix while searching for a multiplayer game in Call of Duty. The directional pad has been slightly improved and now it feels a bit more precise than before. It helps a lot in games where you will need to be very precise. Microsoft has brought its Metro user interface to the Xbox One. It looks like the user interface in Windows 8 and Windows Phone, but it scrolls horizontally and not vertically. You can also pin the stuff that you use the most, or jump directly to the store to buy some new games. It is very easy to navigate around this new user interface and you’ll enjoy it straight away. There is a new feature called Snap, which allows you to run for example Netflix, while browsing with the built-in internet explorer. You’ve most likely seen this in Windows 8, which comes with multitasking abilities. While this might seem an odd feature to be added to a gaming console, it is quite nice, because for example you can look for GTA guides while playing GTA 5. The new SkyDrive application will let you look at anything you’ve saved in the cloud. If you are using a Windows Phone or Windows 8, you will definitely enjoy this application. For example, if you upload videos or photos from your Windows Phone to the cloud, you will be able to play/view them on your Xbox One console. The user-interface is looks refreshed and it is quite simple. The multitasking ability is a plus and we’re pretty sure that the gamers will enjoy it. Kinect 2.0 will recognize you right from the moment you are in its range. Once it detects you, it will automatically sign you into your account. If you leave the room and someone else walks in, the Kinect 2.0 will recognize him/her also and it will automatically log you off from your account and log into his/her account. There are not many games that you can use with the Kinect 2.0 sensor right now, but we’re pretty sure that the developers will release more games for this device soon enough. Using Voice Control, you will be able to switch the console off and on and navigate on the dashboard without even touching the controller. There are a few applications that are currently missing such as Twitch.tv, which is used to stream gameplay videos. However, there are other applications such as Skype, Netflix and more that you can use without any problems. We’re pretty sure that there will be more social network applications on Xbox One. Xbox One is a powerful console and in time there will be more and more games available for it. Are you an X-Box person or a PS4 fan?